The dinner table is one of the greatest places to get to know your kids through conversation. Everyone is together, everyone is sitting, everyone is facing each other. Our dinner conversations have revolved around a fun game of “best and worst” since my kids were old enough to talk. Now 8 and 7, we often look for fun ways to mix it up. Alissa and Lorien’s conversation starters have been a big hit at our house for the past few months. As soon as we were through all of the conversation starters on that list the kids went crazy. What would we talk about? We ended up making up our own list of questions. Fun! 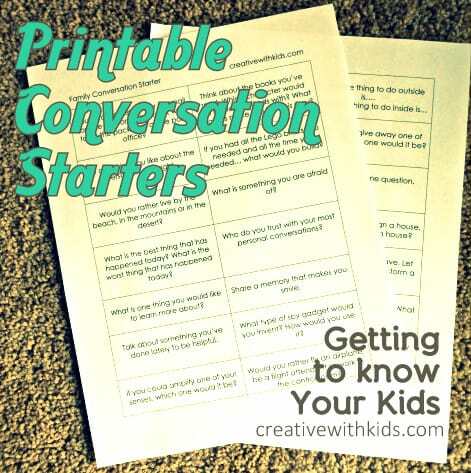 Conversation starters are not only a great way to get the kids talking, they are also a great way to learn about each other. I’ve written up a months worth of family conversation starters with a very specific goal in mind. I want to cover some important topics and take the pressure off by mixing them in with some really fun, light conversations. 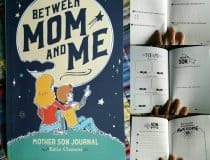 Paying attention (and maybe even jotting down a few notes after dinner) might help you understand your kids a little better. You might learn how they would react in a certain situation, what time of day they feel at their best and who they feel most comfortable confiding in. 1. Don’t be afraid to ask why? Probe a little into the reason for your kid’s answer, but drop it if they seem resistant. 2. Remember that it’s okay to not feel like talking. If someone doesn’t want to talk about a certain subject, that’s okay. You might note that as something to come back to privately or find a new way to ask the question. 3. Have fun with it and be honest. Some of the questions are down right silly. Be silly right along with your kids. It will make the deeper questions easier to answer. 4. Use them when it works best for your family. Is bed time a good calm time to chat? Maybe driving to and from school? 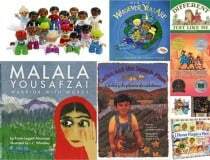 Do you have a favorite family question? Love these. My daughter and I are particular fans, but the boys play along as well. 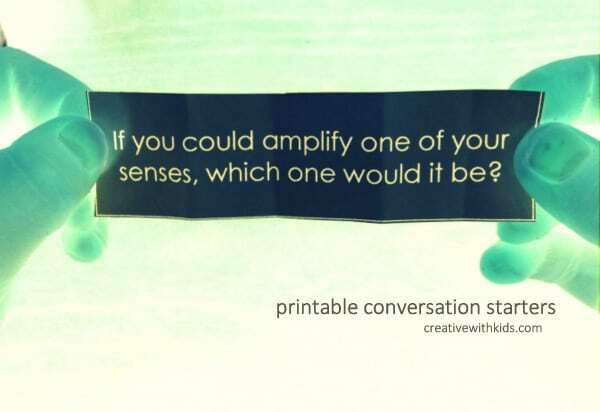 It is especially nice to pull out the conversation cards when dinner starts to go south, with kids bickering at each other or grumbling at us. Glad you like them Wendy! My husband in particular has a hard time with “craziness” at the table. 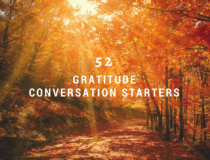 Conversation starters help keep things from going that way at our house too!